‘Pounds of Happiness’ and the colourful boxes of joy! January 21, 2018 January 21, 2018 Categories bakery, food tasting, Product Review, Restaurant reviewLeave a Comment on ‘Pounds of Happiness’ and the colourful boxes of joy! Continue reading ➞ ‘Pounds of Happiness’ and the colourful boxes of joy! Made in Oven – or was that Heaven? March 26, 2017 March 26, 2017 Categories bakery, Restaurant reviewLeave a Comment on Made in Oven – or was that Heaven? Continue reading ➞ Made in Oven – or was that Heaven? Blogger’s Meet over Food Tasting session at The Baker’s Box, Saltlake (Kolkata)! 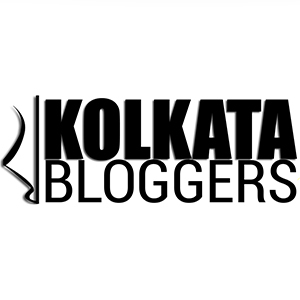 January 14, 2017 Categories Bloggers Meet, Restaurant reviewLeave a Comment on Blogger’s Meet over Food Tasting session at The Baker’s Box, Saltlake (Kolkata)! Continue reading ➞ Blogger’s Meet over Food Tasting session at The Baker’s Box, Saltlake (Kolkata)! Tasting all the Christmas delights at The Bakery, Lalit Great Eastern (Kolkata)! December 24, 2016 February 4, 2018 Categories Festival, food tasting, Legendary eateriesLeave a Comment on Tasting all the Christmas delights at The Bakery, Lalit Great Eastern (Kolkata)! Continue reading ➞ Tasting all the Christmas delights at The Bakery, Lalit Great Eastern (Kolkata)! Traditional Cake Mixing ceremony 2016, at Peerless Inn! December 3, 2016 December 3, 2016 Categories Cake Mixing, EventLeave a Comment on Traditional Cake Mixing ceremony 2016, at Peerless Inn! Continue reading ➞ Traditional Cake Mixing ceremony 2016, at Peerless Inn!